Cosmetic dentistry is really giving an artistic touch to your smile with our dental expertise. That’s why it’s so important to choose a dentist with the right experience and education. Today, cosmetic dentistry is more popular than ever, from whitening and shaping to closing spaces and replacing teeth. And we have a wide array of tools and techniques at our disposal for improving the look of your smile. We at Wassan Dental in the last 13 years have tried our best to give the best smiles in the world and have created a reputation for excellence in Oman with our dentistry expertise. Having whiter teeth has now become the number one aesthetic concern for most patients. We have lot patients in Oman who come to us for whitening treatments only takes 45 minutes and the results last for a long time. We provide our best two technologies for professional whitening- Zoom and Beyond. Both technologies are highly recommended by dentists world-wide and is proven to be safe, effective and conveniently fast. If you don’t like the shape or shade of your teeth, even after bleaching, Veneers can fix your problem. Veneers are very thin layers of porcelain that are bonded to the external surface of the teeth with durable permanent cement. Veneers allow a long-lasting change in both the texture and the shade of your teeth. The crucial thing about maintaining Veneers is brushing and flossing daily. Return for a follow-up visit after one to two weeks. Brush and floss as you normally would. Don’t be afraid that you will damage your veneers by brushing and flossing. Non-abrasive toothpaste is recommended. A good home care regimen will insure the best aesthetic success of your veneer. Inlays and onlays are dental restorations used by a select number of dentists. In certain cases, inlays and onlays are a conservative alternative to full coverage dental crowns. Also known as indirect fillings, inlays and onlays offer a well-fitting, stronger, longer lasting reparative solution to tooth decay or similar damage. These restorations are beneficial from both an aesthetic and functional point of view. Inlays and onlays can often be used in place of traditional dental fillings to treat tooth decay or similar structural damage. Whereas dental fillings are moulded into place within the mouth during a dental visit, inlays and onlays are fabricated indirectly in a dental lab before being fitted and bonded to the damaged tooth by your dentist. Typically, an inlay or onlay procedure is completed in two dental visits. 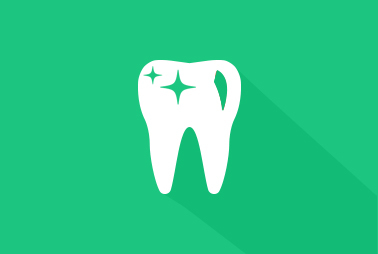 During your first visit, your dentist must prepare the damaged tooth. A moulded impression of the tooth is then taken and sent to a dental laboratory, where an inlay or onlay is fabricated. We discuss with you the best type of inlay or onlay material to use. If aesthetics is not a concern (for example, with back molars), gold is the best option. 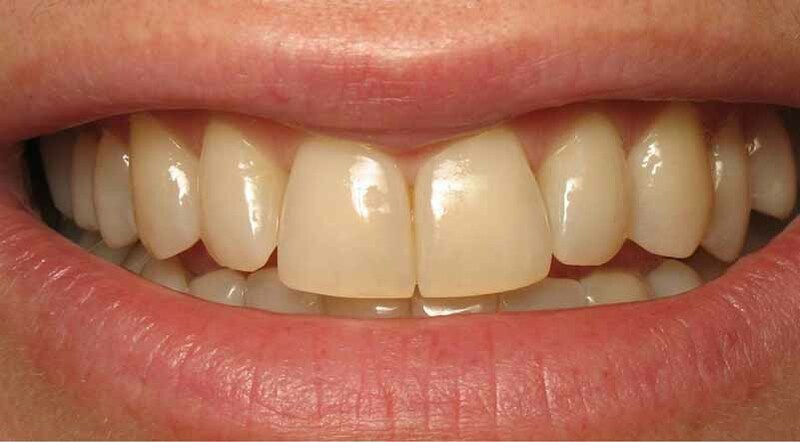 Porcelain inlays and onlays offer the best aesthetics and are often used in the “smile line” areas. Resin materials may be the best option for people who grind their teeth and/or those with a misaligned bite (malocclusion). During your second visit, the provisional temporary is removed and your inlay or onlay is placed. Tooth color: Boasting aesthetic longevity, inlays and onlays are not likely to discolour over time as tooth-coloured resin fillings often do. Tight space fulfilment:If you have a cavity between your teeth, consider an inlay rather than a direct composite filling. Inlays are better at sealing teeth to keep out bacteria; they are easy to clean, will not stain and offer exceptional longevity. Strength and stability:Inlays and onlays are extremely stable restorative solutions for the treatment of decay. The superior fit and durable material make inlays and onlays a stable choice that can actually strengthen a damaged tooth. Weak tooth protector:An onlay can protect the weak areas of the tooth. The procedure does not require the complete reshaping of the tooth. Whether you realize it or not, you’ve probably received a dental treatment involving either form of dental bonding: direct composite bonding or adhesive bonding of a restoration (crown, bridge, porcelain veneer, inlay/onlay) that was created in a laboratory or in-office. For direct composite bonding we use tooth-coloured composites (white or natural-looking materials) that they have in their offices to fill cavities, repair chips or cracks, close gaps between your teeth and build up the worn-down edges of teeth. Dentists place the materials in or on the teeth where needed. Because direct composite bonding involves the precise placement of restorative material, the direct composite bonding procedure usually is completed in one dental visit. More complicated or extensive treatments may require additional visits. However, there is usually no need for temporaries or waiting days or weeks for laboratory restorations. Although direct composite veneers typically require minimal preparations, no mould-taking and no temporaries, the artistic skill and precision of the dentist you choose will determine the exact manner in which your direct composite veneers are created. Adhesive bonding refers to attaching a restoration to a tooth using an etchant, a bonding agent, an adhesive and a high intensity curing light. This method is typically used for aesthetic and metal-free crowns, porcelain veneers, bridges and inlays/onlays. Whether your treatment plan calls for direct composite restorations or adhesively bonded restorations, we start the bonding process by using a rubber dam to isolate the teeth, to prevent interference from moisture. Depending on the extent of the treatment, anaesthetic injections may be required. We would then apply a gentle phosphoric acid solution to the surface of the natural tooth, which won’t hurt. Acid etching of the tooth surface strengthens the bond of the composite and the adhesive. After 15 seconds the phosphoric acid is removed, and a liquid bonding agent is applied. Dental implants are artificial tooth roots used to support a restoration for a missing tooth or teeth, helping to stop or prevent jaw bone loss. The dental implant procedure is categorized as a form of prosthetic (artificial replacement) dentistry or cosmetic dentistry. We’ll suggest you the best kind of brushes and toothpaste or cleaning solutions to keep your dentures clean. Hand soap and mild dishwashing liquid are acceptable for use. Don’t use toothpastes that contain abrasive cleaners because they may scratch and weaken the denture. Implants – usually requires two surgeries to permanently replace individual teeth. In the first surgery, makes gum incisions and drills titanium rods into your jawbone where you are missing teeth. Any openings are sealed with stitches, and often a temporary bridge or denture is placed over the gaps. After several months, your bone will fuse with the metal rods, and then we can attach prosthetic teeth. Bridges – they replace missing teeth by attaching crowns to the teeth on either side of the gap, connected by a false tooth in the center. Bridges can be made from ceramic, metal or plastic. Crowns – they attach to damaged teeth to restore their shape and protect them from further harm. Parts of your original tooth may be removed to better accommodate the crown. The most common varieties are made of ceramic, metal or a mixture of the two. Some people find that they get a better discount with the inexpensive metal version. Fillings– Protects your pearly whites that have cavities from further damage. The removed cavity creates space, which is filled with either a composite or a metal amalgam component.